The United Kingdom of Great Britain and Northern Ireland, commonly known as the UK. The UK includes England, Wales, Scotland and the north-eastern part of the island of Ireland, and the Channel Islands. Northern Ireland is the only part of the UK that shares a land border with another state—the Republic of Ireland. 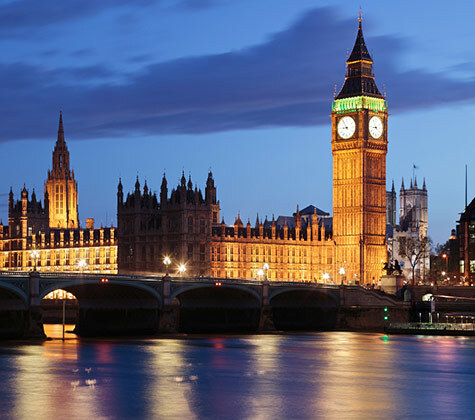 The United Kingdom is a developed country and has the world's sixth-largest economy by nominal GDP and eighth-largest economy by purchasing power parity. It was the world's first industrialised country and the world's foremost power during the 19th and early 20th centuries. The UK remains a great power with considerable economic, cultural, military, scientific and political influence internationally. The estimated populations of the four constituent countries of the UK in mid-2012 are 53.5 million people in England, 5.3 million in Scotland, 3.1 million in Wales and 1.8 million in Northern Ireland. UK property comes in varying layouts and sizes and can differ greatly from one part of the UK to the next. We sell Castles in the Scottish Highlands to Condo’s on the Beach, with much more in between. London remains one of the world’s most attractive buying locations. In 2012, over 7,300 properties were sold in central London. The “buy to let” sector (private owners intentionally buying homes to rent to private tenants) has boomed over the past few years. Some 4.5 million households in the UK rent their home from a private landlord, this is an increase of 47.9% since 2007, indicating the great attraction of it as an investment opportunity in the UK. There are currently no restrictions on non-resident ownership in the UK. Your CENTURY 21® Agent will be able to assist you in understanding the home buying process. Please seek professional advice from a qualified lawyer and tax adviser before attempting to purchase real estate in UK.